Chrysler knew it had the killer engines to match Ford and Chevrolet. What it needed was a body that would seduce America’s youth. It’s fair to say 1968 was a make or break year for Chrysler. The carmaker had been stung by recalls of its bread and butter Coronet and Dart – nearly 90,000 vehicles were affected in 1967 – and it was being slaughtered by Ford and Chevrolet in the ponycar wars. Passenger car sales remained steady but the company needed a flagship on which to hang its hat, just as Ford’s Lee Iacocca had done with the Mustang in 1964. In 1966, the company launched the Charger as a stand-alone model, but it was basically a souped-up two-door version of the Dodge Coronet. The public reception was luke-warm; still Chrysler managed to sell 35,000 cars. In 1967 a new Plymouth Barracuda followed but, despite having superior engines to their rivals, America’s buyers were again ambivalent. Mustangs and Camaros were flying off showroom floors, as a new generation of young, affluent baby boomers spent-up big. Chrysler was left behind. 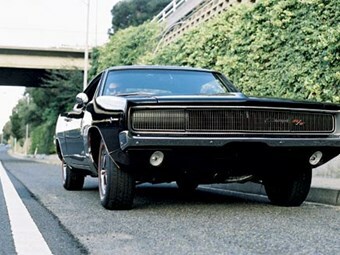 By the end of 1967, sales of the Charger had dwindled to a meagre 15,000. The death of Dodge’s flirtation with performance cars was nigh. Who would have guessed that the company’s salvation lay in an unheralded designer named Richard Tighston, and a 13-minute head-to-head celluloid tussle with its rival – the Mustang? 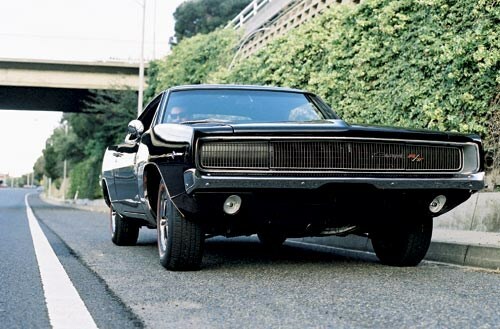 A 1968 Charger in Midnight Black cuts a formidable silhouette, but it is when that 440 Magnum unloads its angry growl that small children scurry to the safety of their mothers. Yep, everyone knows when this beast rolls into town. By 1968 the muscle car wars were all about horsepower and quarter-mile times – fuel was cheap and out-doing your neighbour was America’s pastime. If you wanted to impress the Joneses but still keep an eye on the family budget, you could order your new Charger with the rudimentary 225ci slant six that wheezed 93kW. Few bothered, because if you wanted to leave the Jones clan at the traffic lights you could put a little more sting in your tail with a 318 or 383ci V8 with a four-barrel carby. If you wanted that family of reprobates to move state, all you had to do was tick a little box on your options form and your Charger would come furnished with the rumbling big-block R/T option. Put simply, by opting for the big-block Charger owners could let the power go to their heads, or more specifically, their hemispherical heads. First developed for car engines in 1951 and used successfully on US race tracks for years, the Hemi name gave the Charger credence. The R/T option gave a choice of either the mighty 426ci (317kW) Hemi in de-tuned race form, or the still impressive 440ci (280kW) Magnum V8. 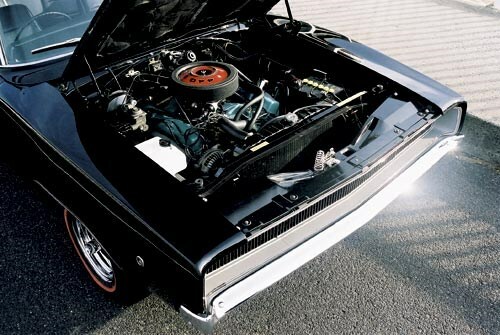 The Hemi engine was available only in the R/T, while the Magnum was available in standard Chargers. Despite the power difference, the 440 Magnum punched out 650Nm of torque at a lazy 3200rpm (the Hemi delivered 664Nm at 4000rpm), making the Magnum a more street-friendly choice. 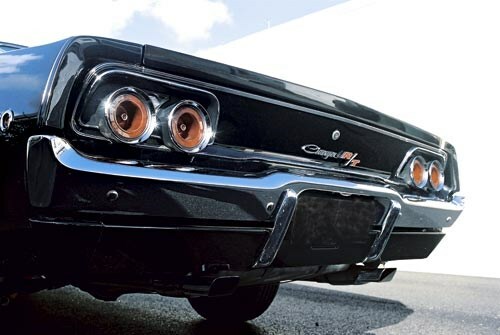 The engines were developed for racing at Daytona and, for sheer brute force, the Charger had few rivals. At traffic lights across America, even Carroll Shelby’s finest were left in its dust. You could specify a three-speed TorqueFlite automatic or a four-speed manual transmission with a Hurst shifter, with either engine. The Chrysler boardroom knew it had the race-bred engines to match its rivals. What it needed was a body that could lure younger buyers. Enter Bill Brownlie, head of Dodge’s design division. He was charged with developing a look that would have nothing to do with the old Coronet bodystyle. Brownlie briefed his staff. He wanted a car that looked like it could run the high banks of Daytona but be just as at home cruising the Vegas strip. The newest member of the nine-man team submitted the design that captured Brownlie’s eye. Richard Tighston’s drawing of a muscular pillarless coupe with a Coke-bottle hip got the nod, and a clay model was commissioned at once. Hideaway headlights were a feature of the sinister grille, giving the car a wider look. The chrome petrol-filler cap that is a Charger signature originally had a twin brother – in the early modelling stages caps were mounted on each side of the rear pillar, but management deemed this an expensive exercise and the idea was dropped. If you come across pictures of the clay models you’ll see the second cap. 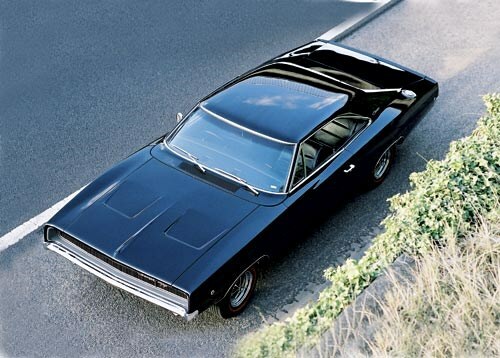 After the finished model was presented to vice-president of styling, Elwood Engle, he gave it the thumbs-up, and the 1968 Charger was given the green light for production. To say the ’68 Charger was well received is an understatement. Dodge’s prediction of 35,000 units proved to be conservative. 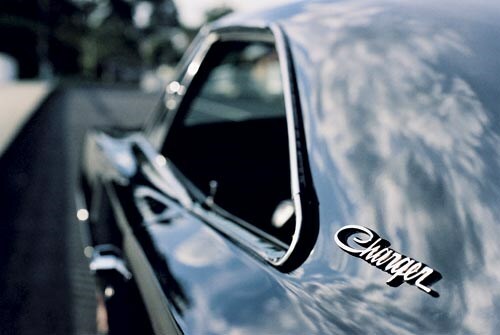 By the time they sat down for their Christmas turkey, workers at Dodge’s Michigan muscle shop had punched out over 90,000 Chargers, and the 1968 model was well on the way to cementing a place as one of America’s favourite performance cars. This brings us to Patrick O’Connor’s black beast. 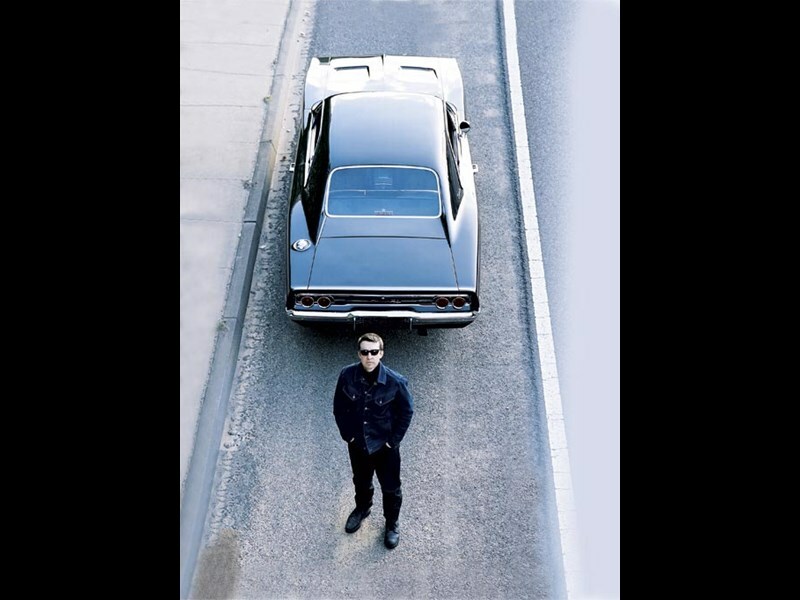 Many readers will know that a black ’68 Dodge Charger R/T was chased by Steve McQueen’s GT 390 Mustang through the streets of San Francisco in the cult film Bullitt. O’Connor’s car is a rare four-speed example – only 2734 manuals with the 440 Magnum were produced out of the 17,584 R/Ts manufactured in 1968. They are even rarer now, courtesy of the number of B-body cars destroyed in TV shows, such as the Dukes of Hazzard, and countless movies. This makes Patrick’s car a real survivor. You would be forgiven for thinking Patrick restored his car as a tribute to the hitmen who Frank Bullitt chased to a fiery end in one of the great screen car chases. In fact, very different reasons ignited his passion for Chargers. "My Dad was an architect responsible for designing Chrysler’s automobile showrooms during the 1970s," Patrick said. "Chrysler even gave Dad a VF Pacer station wagon to put all his drawings in and yes, he still has it. I grew up in a Mopar household, so the love affair was inevitable. 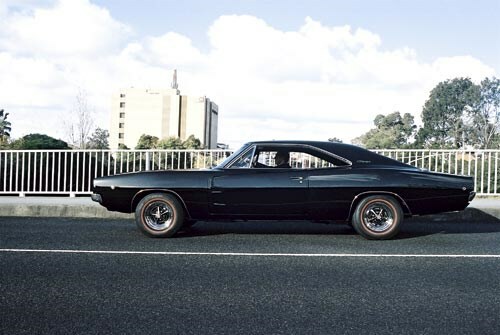 "I remember as a 15-year-old flicking through a Dodge book that Dad had left on the coffee table and seeing a picture of a black 1968 Charger. I knew then that this was the car for me." To drive this car is to awaken your senses. From standstill, working through the gears at maximum throttle, is an exhilarating experience. The punch in the small of the back; the monstrous roar of a big block; the smell of the tyres frying – it’s as addictive as any drug. You just don’t get the same subliminal rush from the cosseted confines of a modern performance car. "All R/Ts came set-up ready to handle the 426 Hemi or the 440 Magnum," Patrick said. "Whatever engine or transmission you ordered, the cars’ handling, braking and rear end setup was identical. 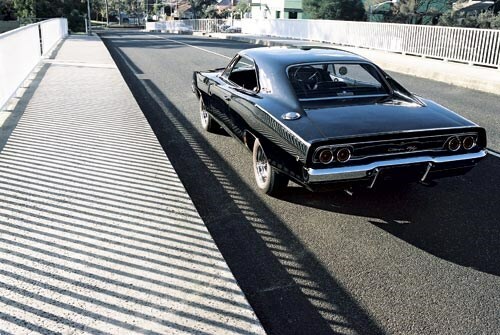 "My car is a factory order, matching numbers, black-on-black R/T with the 440 Magnum V8, mated to a four-speed manual transmission and Hurst shifter. It has the factory console, the special tachometer/clock combo called a Tic Toc Tach, a Dana 60 3.5:1 limited slip differential and Magnum 500 sports wheels. "My car was completely re-manufactured from a bare shell and metal finished. Over 1000 brand new parts were used, while those that weren’t replaced were inspected and restored or replaced as necessary. "I wanted to experience what it would be like to walk into your local Dodge dealer in 1968, tick the R/T option box and scream out of the showroom. The only modern improvements on this car are rack-and-pinion steering and improved front disc setup. Other than that, it is factory stock." Many who have never driven a muscle car consider these as lumbering dinosaurs of the road, behemoths at home only on America’s gunbarrel highways. Certainly reverse parallel-parking a car like this, with a caffe latte in one hand and 280kW in the other, in Saturday morning traffic, is not recommended but Patrick handled the car with aplomb. One swing of the wheel, a tap on the throttle and we’re in, perfectly straight. "Traffic should be full of muscle cars," enthused Patrick. "Just the other night I took the beach road home, the sun was setting. I had the windows rolled down, the engine was purring; it was just perfect. It was a thrill being in the car." Patrick has almost as interesting a history as the Charger he owns. "I was studying environmental science at Monash Uni while my mate Sean Kelly was studying business at Deakin Uni in the late 1980s. We fixed up Valiants and Chargers to earn extra money. We soon realised how much we both enjoyed doing it and sort of abandoned our studies." The pair have run Valiance in South Melbourne since 1992 and specialise in restoring and servicing Australian and American Chryslers from the 1960s to early ’80s. The Dodge Charger is a labour of love. "I built the Charger more or less as a prototype. I plan on sourcing genuine R/T-optioned Chargers from the US and fully restoring them to the customer’s requirements. They can choose everything from exterior and interior colours to trim codes. Engine options include 426 Hemis and Mopar big blocks up to 500ci with fuel injection. "We can also supply Tremec five or six-speed manual gearboxes, or a more civil auto. Power windows, steering and air conditioning can also be ordered. I want it to be like ordering a new car from your Dodge dealer." Now all you’ll need is a set of horn-rimmed glasses, and a long stretch of highway. Now where did that Mustang go? With the snap of a belt buckle, an explosion of mechanical mayhem is unleashed. A sinister black car lays rubber as it thunders up San Francisco’s Chestnut Street. 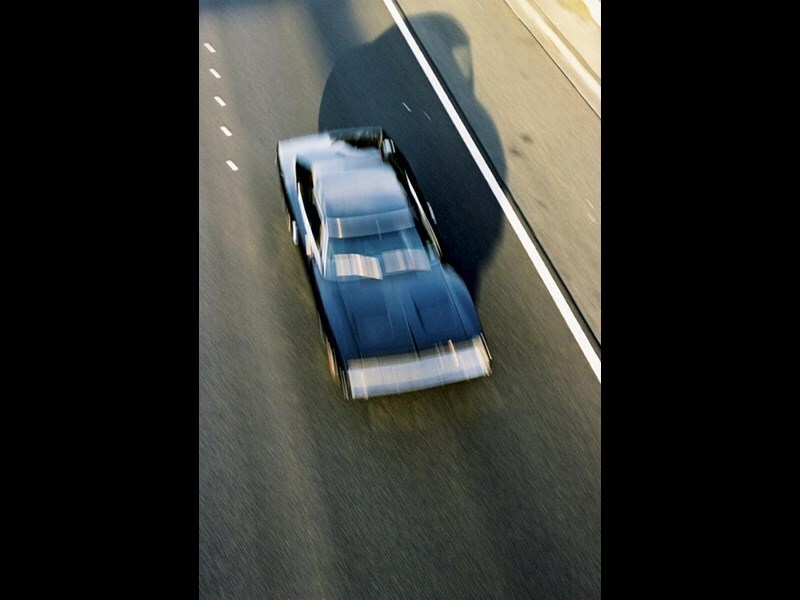 Frank Bullitt shoves his Hurst shifter into first, plants his foot and screams off in pursuit. A gut-wrenching chase ensues, followed by a 180km/h highway pursuit with a couple of shotgun blasts thrown in for good measure. 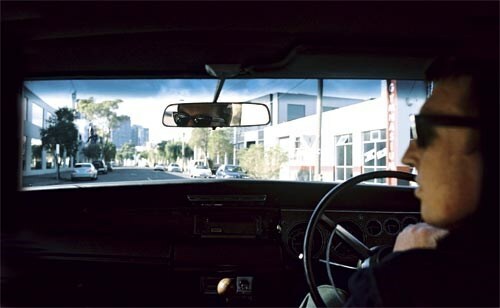 McQueen might have been one of Hollywood’s top drawcards but in Bullitt, it was the cars that stole the show. Warner Bros had a deal with Ford, which supplied the star cars for the film, such as Robert Duvall’s Sunshine Cab (a 1967 Ford Custom), Robert Vaughn’s Lincoln and, of course, two Highland Green ’68 GT 390 Mustangs. It was no accident that the baddies drove a Dodge and not a Ford. Much has been written about McQueen’s Mustang – it’s quite possibly the most famous movie car of all-time. McQueen offered to buy the car in 1977, but the owner declined. But what of the black car? McQueen and stunt driver Bud Ekins were persuaded by studio bosses not to use a Ford. Solution? Just like regular punters, they dropped into a Dodge dealership and bought two black ’68 Chargers with the R/T option, four-speed manual transmission and whopping 440 Magnum powerplant. McQueen hired his own mechanic, Max Balchowsky, to prepare both the Mustangs and the Chargers for the two-week shoot. Balchowsky was on-hand to repair or tweak the cars when needed. As it turned out, the Ford needed more attention than the Dodge. During preliminary testing, it was painfully obvious that the Mustang couldn’t keep up with the Charger. With Balchowsky’s powerplant panache, the 390 4V FE big block was given a warmer cam and a tweaked carb, which increased power from 238kW to 268kW. Not quite up there with the Dodge’s 280kW, but with the Mustang’s superior handling, it was able to match the Charger through San Francisco’s back streets. The Charger’s pilot was stunt driver Bill Hickman (the bloke with the horn-rimmed glasses). Hickman was full of praise for the Charger’s power and handling combination and felt in complete control at speeds in excess of 180km/h. Sadly, neither Charger survived – one was destroyed in the film and the other was sent to the crusher. This was done to avoid liability claims if they were sold. There’s no doubt the film drove Chrysler sales. By 1969, Chrysler’s marketing department was cashing in on the bad-boy image. Advertisements for the restyled R/T model featured a seductively dressed girl and the slogan: "Mother warned me there would be men like you driving cars like that."